How do I attach a file to my email? What time zone does Big Fish use? 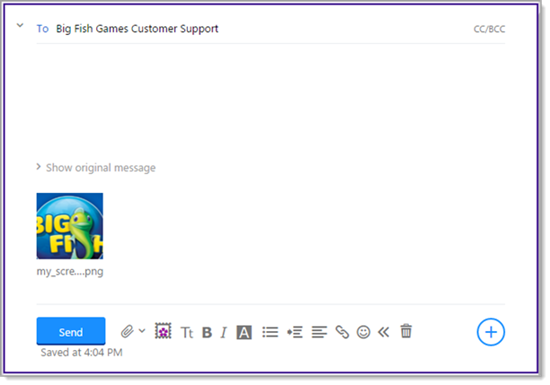 The contact form on our support site has an option to attach a file to your question. 1. Visit the Submit a request form. 3. Click in the Add file or drop files here box. 4. 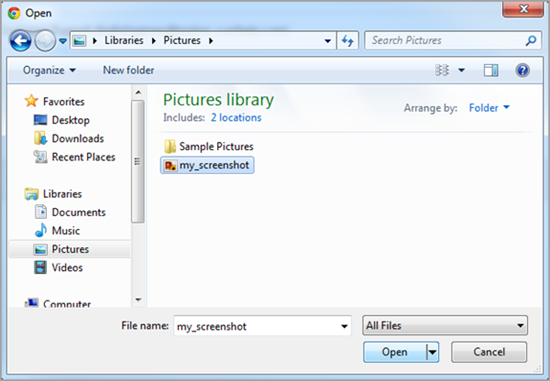 Find the file you'd like to attach (PC shown below). 5. Once you've found your file, click Open or Insert . 6. Check to make sure the name of the attached file appears below the "Attachments" box. 7. Click the Submit button to complete your request. Follow these steps if you've received an email back from Big Fish. Mobile device users : Please send the attachment through your device's internet browser, such as Safari or Chrome. Open the browser, visit your email provider's website and sign in, locate the email from Big Fish, then continue with these steps. 1. 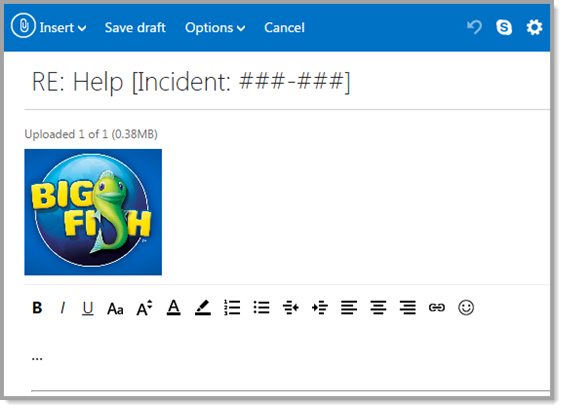 Locate the email from Big Fish in your Inbox. 2. From Big Fish's email, click Reply . 3. Click the paperclip button (also known as the Attach Files button). 4. In the new window, locate the file you wish to attach and click on it (PC shown below). 5. Click Open or Insert . 6. The attached file will appear in a box within the body of your email. 7. Click the Send button to send your email message and attachment. 2. From Big Fish's email, click Actions . 3. In the dropdown menu, click Reply . 5. In the dropdown menu, click Files as attachments . 6. 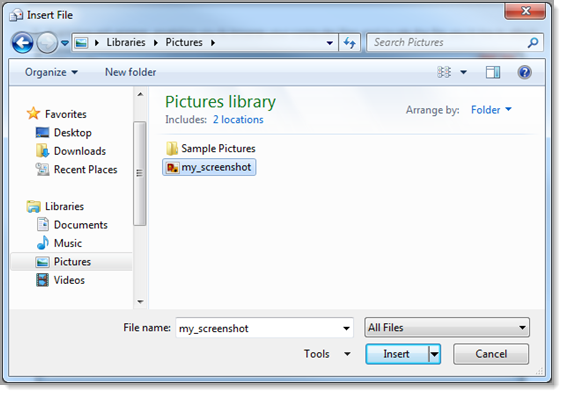 In the new window, locate the file you wish to attach and click on it (PC shown below). 7. Click Open or Insert . 8. The attached file will appear under the subject of your email. 9. Click the Send button to send your email message and attachment. 4. A window will appear, enabling you to browse your computer files and locate the file you’d like to attach. 5. Once you’ve located your file, click Open or Insert . 6. Attached files will appear under the Subject heading of an email. 3. Click the paperclip button (also known as the Attach File button). 6. The attached file will appear within the body of your email. Look for a button labeled Attach or something similar. The button may look like a paperclip. 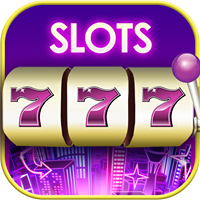 After clicking the button, a new window will open. 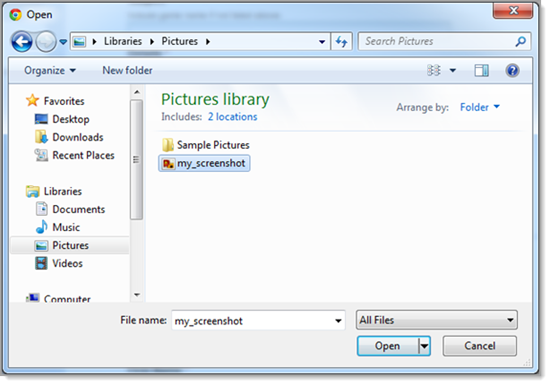 In that window, locate the file you wish to attach, then click on it. Click Open or Insert . How do I get free Coins?